The California Gray Whale (Eschrichtius robustus) also goes by a few different names such as Grey Whale, Gray Back Whale or Pacific Gray Whale. One part of their name comes from the gray appearance they obtain as barnacles and other hangers-on give a lighter mottled appearance to their darker skin. The second reason for their list of various names is due to the regional monikers they collect along their lengthy migration track which takes them on an over 10,000 mile journey two times a year. 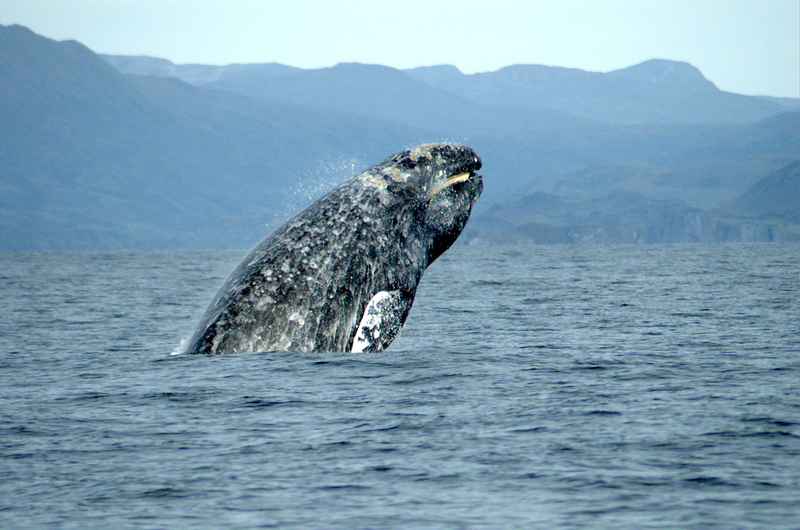 Gray Whales spend the warmer months in the Arctic Alaskan waters over the continental shelf where they feed. These colder waters are nutrient rich and support an abundance of sea life. The Gray Whales mostly feed on amphipods which they scoop up off the muddy sea floor. Once they have a mouthful, water and mud is then pushed out and strained through their baleen leaving only food to eat. After months of feasting and gaining weight, the onset of winter and colder water is their signal to begin their long migration down the coast towards the warmer waters of the Mexican Coast. December through January is the first chance of the year to see the 50 foot long/ over 30 ton Gray Whales make their 5 mph swim down the California coast. During this time they are easy to see from elevated coastal bluff or areas such as point and headland where the Whales usually take a short cut closer to shore. We have noticed that days when there is a light Santana Wind makes them even easier to spot as the seas are usually glassy and their exhaled spouts will hang in the air for a longer period- held aloft by the off shore breeze. For an up-close view of the Gray Whales there are plenty of whale watching boats that leave from almost every harbor along the coast. By mid February or March the Whales arrive in Mexico. Once there the Whales congregate in several warm water lagoons to either mate, nurse their young or give birth to the young they have carried the previous 13 months. During this time the adult Whales eat very little or not at all and live off their 10 inch thick blubber reserves. The calves who are 13 feet long at birth, drink a prodigious 190–300 gallons of 53% mother’s milk everyday! When spring arrives the Gray Whales begin their return trip to the north. Usually the males leave first. Later on the newly pregnant females and nursing mothers with their young will set out once the calves are in swimming shape. 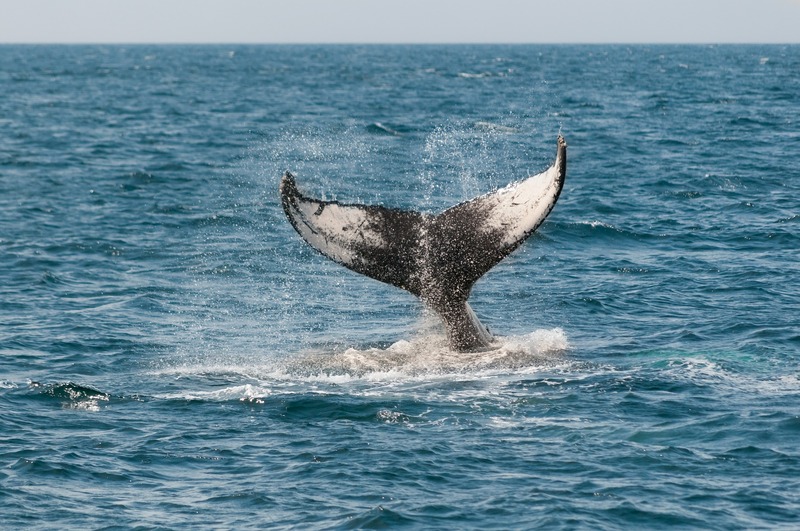 It’s at the beginning of march you can get a second chance to see the California Gray Whale slowly swimming North making the return trip pf one of the longest migrations of any mammal. No doubt they are thinking of all the food they will eat once reaching their Northern home waters!